Our Dad died earlier this evening after a long wasting illness that took a much more severe turn over the past oh six or so months and then really accelerated in the last month as, well, as these things just do. It’s something that of course happens to everyone but it just doesn’t seem like some shared universal human event when it’s your father, does it? The emotions, the memories, the laughs, the tears, the regrets; they all come crashing ashore like the waves in a chaotic storm. Several of us had planned to go down and visit him this weekend, but we got THE CALL early last week so we hastily rearranged flights and met for one last visit, and I’m so glad we did. Yes, his body had wasted away to but a drawn haggard husk of the mighty bear of a man he once was, at nearly 6’6″ tall and easily weighing 260 in his prime. He knew it was the last time we’d be together, and he drew on what reserves of strength he had managed to sequester away to be, well, himself. Yes, he was weak and so so sick but by god he was sharp as a tack and funny. He was always fond of puns and wordplays, and he brought his “A” game to the surface one last time with us (and honestly I hadn’t heard him in such form in years); we should have hopped in the bed because he had us in stitches. They say a bulb always burns brightest right before it burns out, and last Thursday he was radiant. So I’m very blessed that my last memory of him was him being him, and I will always treasure that final gift. Whoda thunk it? Doop dee doop dee fishy chowder was fur reelz. Mind you, møøslim apologyst bites Kan be pretti nasti. Two leading Swedish politicians have a message for President Trump’s critics: He’s right. Per Jimmie Akesson and Mattias Karlsson, both leaders of the Sweden Democrats, penned a Wall Street Journal op-ed on Wednesday supporting Trump’s characterization of a Muslim immigrant-led crime crisis in Sweden. Trump was ridiculed by many after he gave a speech Saturday citing Sweden among a list of European countries affected by the scourge of Islamic terror. Referring to the massive number of Middle Eastern refugees that have poured into the country, Trump said Sweden was “having problems like they never thought possible.” Some Swedish politicians openly derided Trump’s portrayal of the country – but riots in a heavily immigrant suburb of Stockholm on Monday evening put an end to most of the mockery. 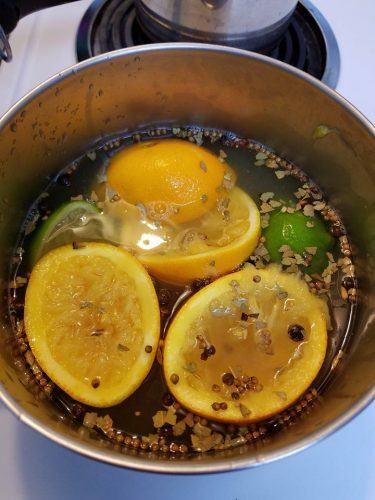 …than citrus and spices in a rolling boil on the stove. 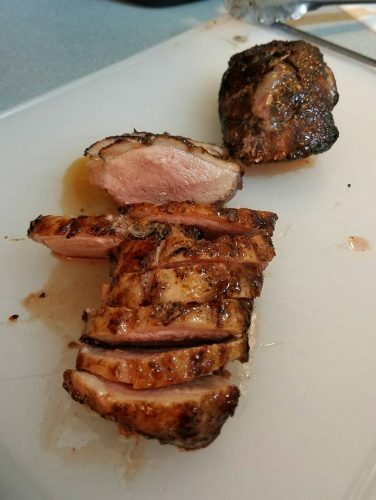 Okay, here’s how we whipped together Citrus Brined Duck Breasts last night. Had 2 juicy oranges and a lime left in the fridge, so halved, juiced and flung them into a 3 qt saucepan. Added what was left of the kosher salt in the cellar on the counter, which was about 1/4 C with about 3 T of sugar* and 2 heaping T of FRESH pickling spices. Cover with water to about 1/2 of the pan, bring to a rolling boil and give it a minute or two to really get going. Then turn it off, take it off the heat, let it cool. We hit the commissary while it cooled down. Got back from grocery shopping, it was still a tad warm, popped it in the fridge while I got the duck breasts out. 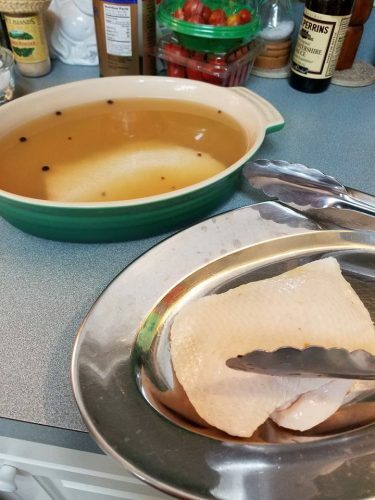 Laid them in an oval dish, strained the still-sort-of-warm brine over the top (by “strained” I mean “kept the big pieces out”), covered with plastic wrap and into the fridge for the next 3-4 hours. 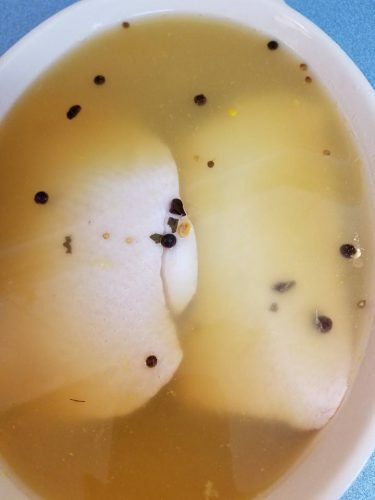 If they’re not floating in the liquid, get in there and rotate them every once in a while so the brine makes it to every BIT of the breast. The original recipe said 4-6 hours, but life isn’t like that. I think we had 3 1/2, tops. OUT they came. Dry them off, LIGHTLY score the skin, then salt and pepper. Skin side down on the actual fire, hash mark them. (Watch for flame-ups, because once the skin starts to render, DUCK GREASE BURNS!) Meat side down for a few seconds, then move off the direct flame, turn heat down and finish roasting until you read 130° for medium rare (We went to 135° and they were just a hair to close to medium, but still ever so juicy. )(Sincerely, do NOT overcook duck. DO. NOT.). 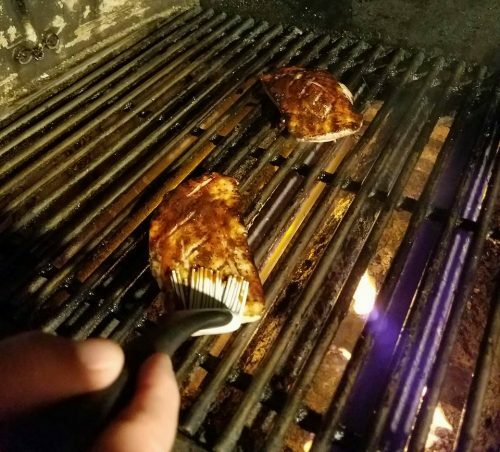 Immediately prior to the very end, paint with the veriest shimmer of a GOOD BarBQ sauce and let it set. You DON’T want it coated. Just a glaze, a HINT of smokey sweet. Let them rest while you get the rest of your meal organized and then slice across the grain. We just had a salad, biscuits and roasted cauliflower. Worked out great. And even with a truncated brine time, the subtle spices in the duck were divine. *for ALL my cooking/baking, I ONLY use raw cane sugar, organic or otherwise. Its grassy flavor adds an unbelievable nuance to anything you’re doing, especially baking. Maybe you all will remember our “spirited” back and forth years ago on the relative merits of Canadian bus passengers sitting on their asses as one of their fellow passengers gets his poor head sawed off, then gnawed on? You know, the same “sat on their asses” do-nothings who decided two years later they were SO TRAUMATIZED they had to sue the bus company? Well, the lunatic who caused all this grief IS, in classic Canadian fashion, NOW a free man. WINNIPEG, Manitoba (AP) — A Canadian man who was found not criminally responsible for beheading and cannibalizing a fellow passenger on a Greyhound bus has been granted his freedom. Manitoba’s Criminal Code Review Board announced Friday it has given Will Baker, formerly known as Vince Li, an absolute discharge, meaning he is no longer subject to monitoring. Baker, a diagnosed schizophrenic, killed Tim McLean, a young carnival worker who was a complete stranger to Baker, in 2008. A year later he was found not criminally responsible due to mental illness. “NOT SUBJECT TO MONITORING” Heh. That should turn out well. And WHEN it does, I sure hope the NEXT round of Canadians who have half a chance to distract him while he’s in the process of murdering another human being in a most horrific fashion…um…DO SO. 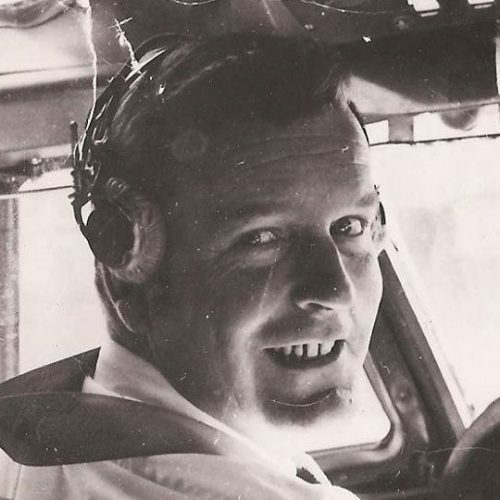 Korean War veteran Guy Taylor died Monday night at the age of 84. May there be bugles aplenty for you, Marine, in the great ever after. Thank you. …until I’ve had a chance to stock the larder. 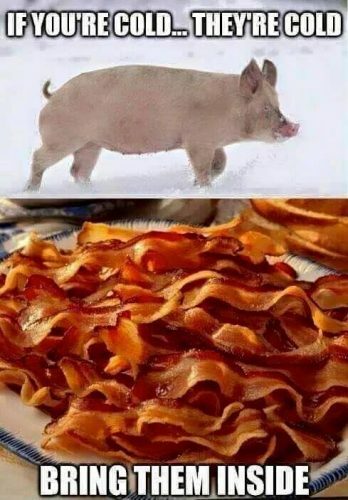 The country’s bacon reserves are at the lowest levels in half a century. In other words, pig farmers can’t keep up with the world’s sizzling appetite for those fatty, smoky strips of sheer eating pleasure. 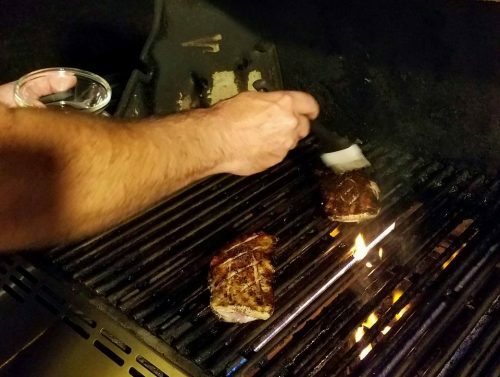 The Ohio Pork Council, a Columbus-based non-profit, reported Tuesday that demand for frozen pork belly, frequently made into bacon, is outpacing supply. There are literally not enough little piggies going to market. Romania’s new leftist government late on Tuesday decriminalized a number of graft offences including some abuse-of-power cases in the ex-communist state’s biggest retreat on anti-corruption reforms since it joined the European Union a decade ago. …Romania is one of Europe’s most corrupt states, with graft rife in state administration and many areas of public life. Efforts to stamp out abuse have accelerated over the past four years. Prosecutors have indicted nearly 2,000 people in cases involving abuse of power that have caused damages totaling up to 1 billion euros in the past three years. …Several leading politicians are under investigation or on trial in abuse-of-power cases, including the leader of the ruling Social Democrats and lower house Speaker Liviu Dragnea. The emergency decree – which takes effect immediately – would decriminalize some offences, including abuse of power causing financial damage of less than 200,000 lei ($48,000). So the government officials now give themselves leave to abuse their power to steal up to $48,000 from you with no consquences. I imagine $48k goes quite a long way in Romania…which has an average annual salary of $6,600. Graft: it’s what governments do.